Trying to get measurements of all the aspects of the print to be correct relative to each other can be a difficult computational trial. I have devised an Excel spreadsheet that solves much of the difficulty. If you use it in the process of creating your standard stereoview you can produce your photos quickly and easily. Hold the shift key down and Click here to download a copy of the spreadsheet. Use of the spreadsheet is explained in the Production section of this website. I have developed several Photoshop templates to help make stereoview production easier. Hold your shift key down and click on one of the thumbnails below to download a copy. They are 1.2 megs each. When you have your prints made, the lab will probably print your picture slightly larger than 4x6 inches to make sure the image bleeds off the edge. This can be a problem if you have carefully set your stereo window. That is why a 1/4 inch border is part of the standard. If you include it, the lab can make your print slightly bigger and it won't do you any harm. Below are 4 test grid files that will allow you to see just how much your lab is cropping. 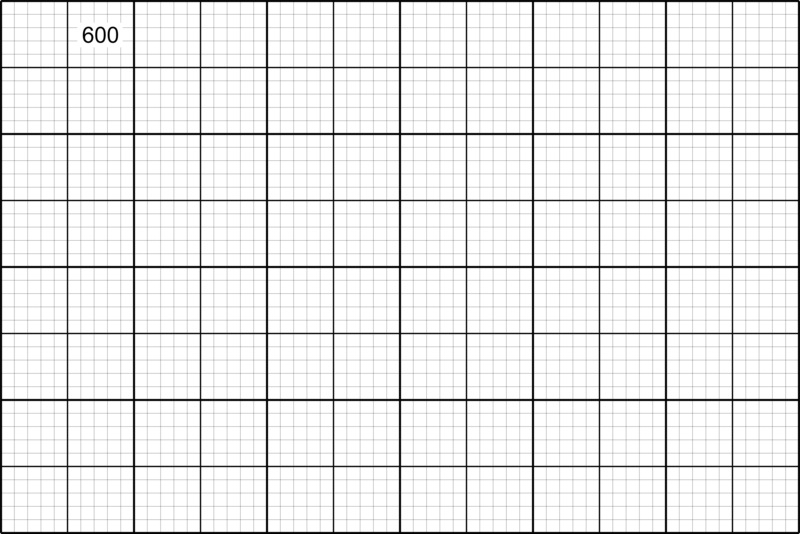 There are 4 files of 4x6 grids with resolutions of 250, 300, 400, and 600 ppi. Pick the one that is closest to your lab's resolution. Right click on the image below and save it to your hard disk, then give your lab a copy of the file to print. 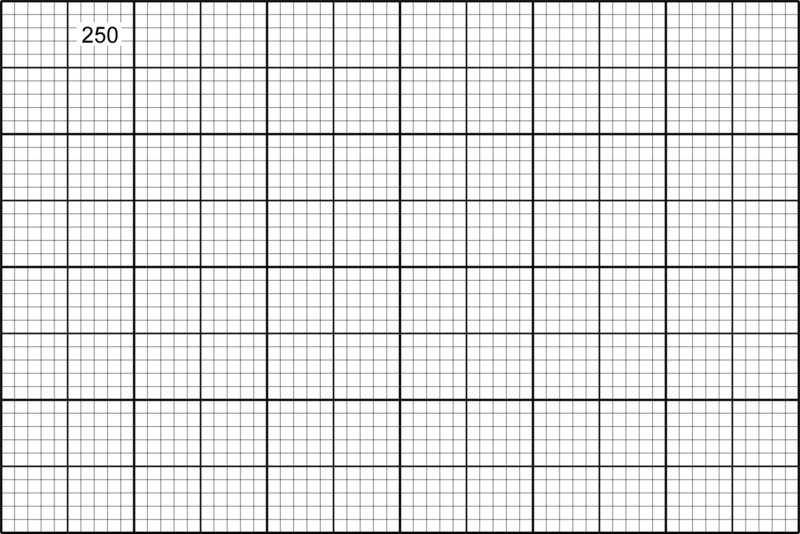 These grids have heavy lines on the inch increments and fine lines at every 1/10 of an inch within. The pictures in the grid below may or may not depict this properly based on your monitor's size and resolution. Rest assured, the files themselves are completely detailed. For reference Ofoto prints their pictures at 300 ppi, the Fuji Frontier 370 prints at 300 ppi, and the Agfa D-Lab prints at 400 ppi.